Whether you are a single career-minded homebuyer or a new family looking to purchase a starter home, 2019 may be a very good year to apply for a home loan thanks to higher FHA loan limits in most counties nationwide. January 6, 2019 - Are you house hunting in the new year and hoping to take advantage of the higher FHA home loan limits in 2019? Whether you are a single career-minded homebuyer or a new family looking to purchase a starter home, 2019 may be a very good year to apply for a home loan thanks to higher FHA loan limits in most counties nationwide. What should you consider in the new year when searching for a new home? The FHA One-Time Close mortgage loan is a construction loan that offers a single loan application and closing date so you can have a house built to suit. Construction loans that are NOT One-Time Close type mortgages (also known as Construction-to-Permanent Mortgages) may require the borrower to apply for TWO loans, get TWO credit checks, and have two closing dates. Naturally, a borrower will be concerned that the second loan application, credit check, and loan approval process will go smoothly-it doesn’t pay to get approved for one loan only to encounter complications with the second one. The FHA One-Time Close construction loan does away with the second application and approval process. If you do not want to search for an existing construction home, the FHA One-Time Close option is worth discussing with a loan officer. Using an FHA Rehabilitation loan, you can buy and improve a home you intend to live in as your full-time residence. These loans, like all other FHA Single-Family Mortgage loans discussed here, have an occupancy requirement and are intended for owner-occupiers. If you are a single parent receiving alimony or child support, if you are a seasonal worker with an employment record that shows your seasonal work is reliable and likely to continue, if you are a self-employed person or someone who works on commission, FHA home loans are for you. Your income must meet FHA and lender minimum requirements, and it helps greatly to have a debt-to-income ratio that is low on debt and higher on income. 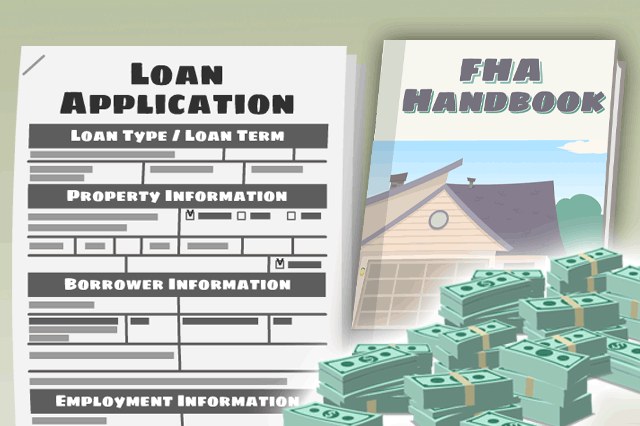 But these employment categories are not an automatic liability for an FHA loan applicant. Talk to a participating FHA lender about how an FHA mortgage loan can help you get into your first home, a larger home, a condo unit, and more.